David Moyes is one of those in English football who is gradually becoming synonymous with the sport for being a part of it for so long. After years of making a name for himself as an active player, he is now blazing the trail as a professional coach and manager. He most recently managed West Ham United and has also managed other clubs including Preston North End, Everton, Manchester United, Spanish club Real Sociedad, and Sunderland. Moyes was awarded 2003, 3005, and 2009 League Managers Association Manager of the Year and is one of the most successful managers in world football. David William Moyes was born in Glasgow, Scotland on the 25th day of April 1963. His parents are David Sr. and Joan Moyes of Northern Ireland. He must have inherited his athletic abilities and managerial acumen from his father who was a coach at Drumchapel Amateurs and is a scout at the English club, Everton where Moyes would later serve as a manager. Moyes’ mother worked in a clothes stores in Glasgow whereas his brother Kenny is a football agent and his cousin, Dessie Brown is secretary of Coleraine Football Club. Moyes began his career at an Icelandic youth club, ÍBV in 1978 and then had a stint in Drumchapel Amateurs. He also played for the Scotland national team in 1980. However, his professional phase took off as a center-half in his home town based club, Celtic where he won a championship medal. He went on to enjoy an extensive career, making more than 540 league appearances in various clubs including Cambridge United, Bristol City, Shrewsbury Town, Hamilton Academical, Dunfermline Athletic and eventually hanged his boot with Preston North End. His coaching career began in a private school named Concord College during his time with Shrewsbury Town in 1987. After the end of his playing career, he went fully into coaching at Preston and gradually worked his way to assistant manager. On January 12, 1998, David Moyes became the manager of the then Division Two club until March 2002. He guided Preston to the title and eventual promotion to Division One including playoffs in the 1999-2000 season. At the end of his first managerial outing, Moyes recorded 234 games out of which his team won 113, had 58 draws and only lost 63 matches. On March 14, 2002, he joined Everton as their manager through 11 seasons. Under him, they qualified for the third qualifying round for the UEFA Champions League in 2005 and reached the 2009 FA Cup Final. Additionally, he established the club in the top seven of the Premier League from 2006/07 onwards. His achievement was glaring to all and fellow managers including Sir Alex Ferguson, Arsène Wenger and Kenny Dalglish who praised him on his 10th anniversary in the club. With the Toffees, he took charge for 518 matches, of which his team recorded 218 wins, drew 139 and lost 161. He resumed as the manager of Manchester United, succeeding Ferguson on July 1, 2013. Despite being the first United manager in history to win a trophy outright in his first season in charge on August 11, 2013, in the FA Community Shield, he was sacked 10 months later on April 22, 2014. His next managerial port was abroad in La Liga for Real Sociedad from November 2014. He, however, was relieved of his duties in less than a year. Moyes subsequently moved back to England and managed Sunderland, replacing Sam Allardyce in July 2016. After the club’s relegation to the EFL Championship was confirmed in April 2017, David Moyes resigned the following month at the end of the Premier League season. Moyes was then appointed as the manager of West Ham United on November 7, 2017, on a six months deal. He led the club to a 13th-place finish, with his contract expiring at the end of the season on May 13, 2018. David Moyes was awarded the League Managers Association (LMA) Manager of the Year in 2003, 2005 and 2009 with 10 Premier League Manager of the Month awards. Moreover, he serves on the committee for LMA in an executive capacity. 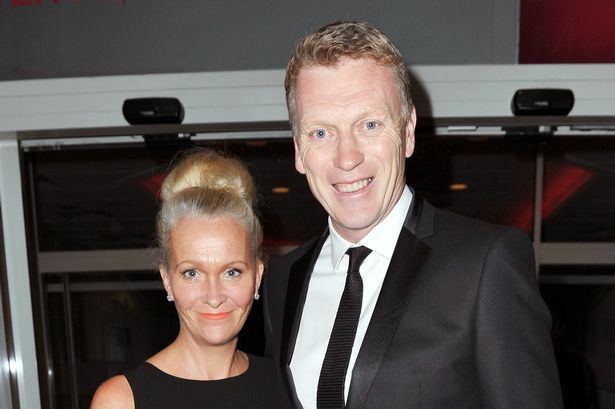 David Moyes is married to Pamela and the duo has two children. Their daughter Lauren attended Archbishop Temple School in Preston while their son, David Jr. went to a college also in Preston. Moyes is a devout Christian and does not shy away from discussing his faith with colleagues although he is often reluctant to talk about it in interviews. During his playing days, he faced a backlash for his religious belief from team-mate, Roy McDonough who felt his discussions with others was distracting them from playing. He is a supporter of the Labour Party. David Moyes provided some commentary for BBC Radio 5 Live during the 2010 FIFA World Cup in South Africa for selected matches. He stands at an impressive height of 6 ft 1 in (1.85 m). In January 2014, he joined the league of managers including Ferguson, Wenger and Harry Redknapp as the fourth to record 150 wins in the Premier League. He upped the record by 50 on 13 January 2018 while managing West Ham United. He has managed six clubs through 15 Premier League seasons.